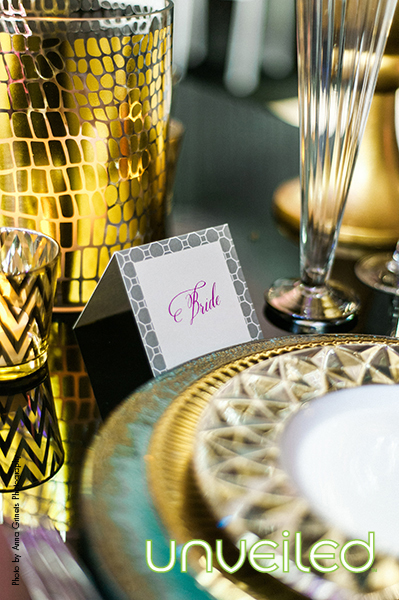 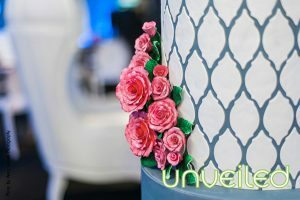 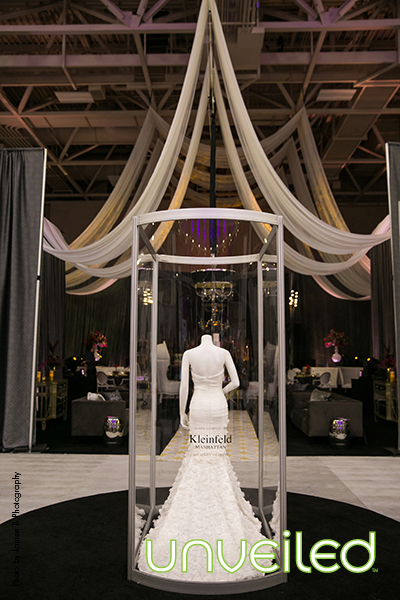 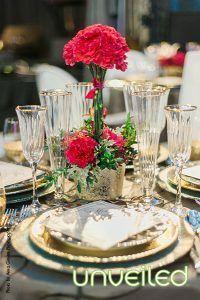 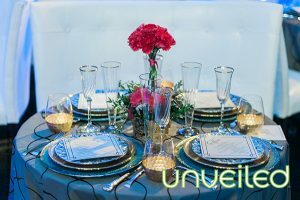 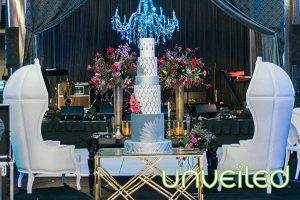 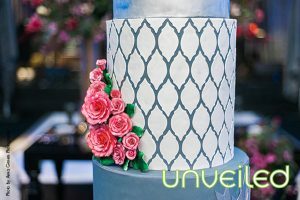 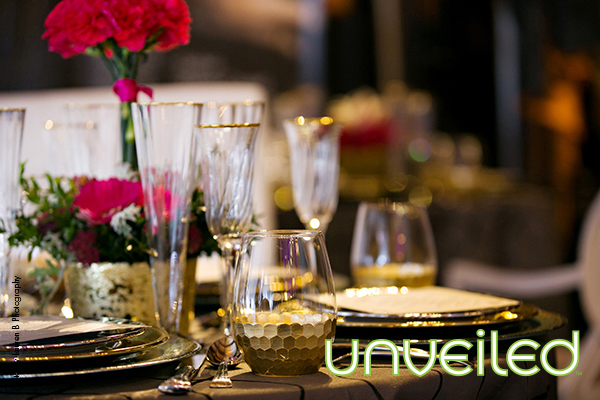 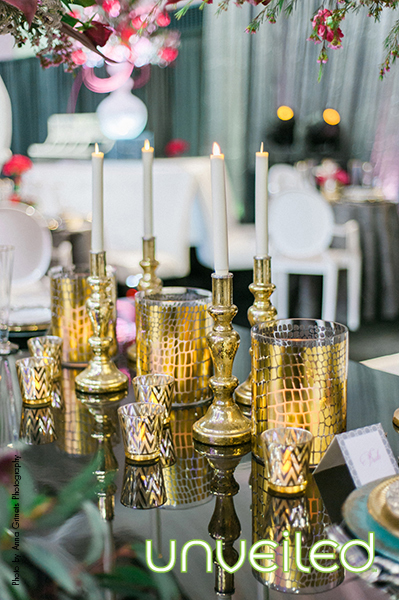 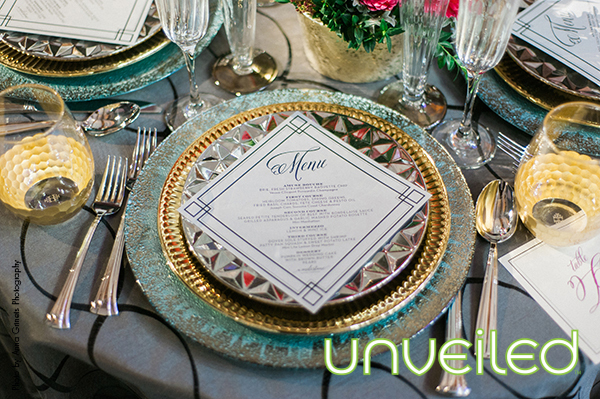 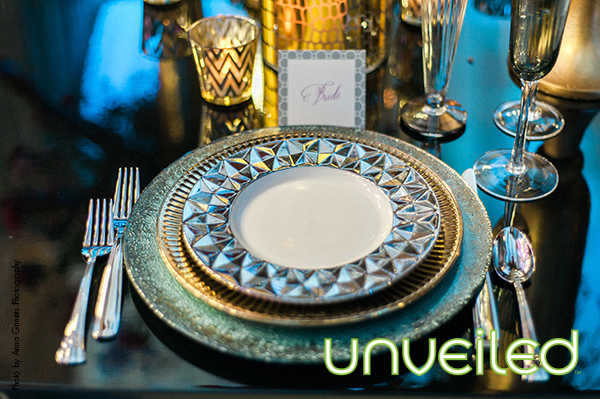 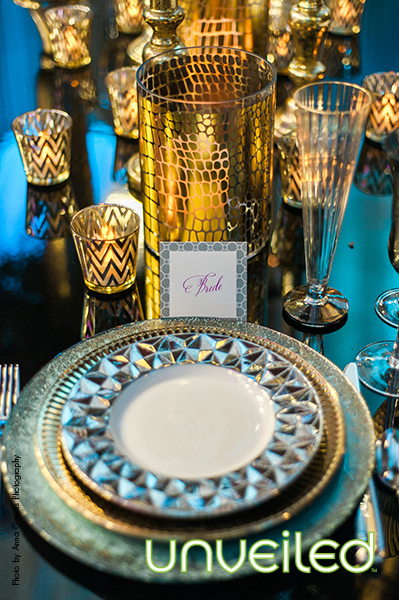 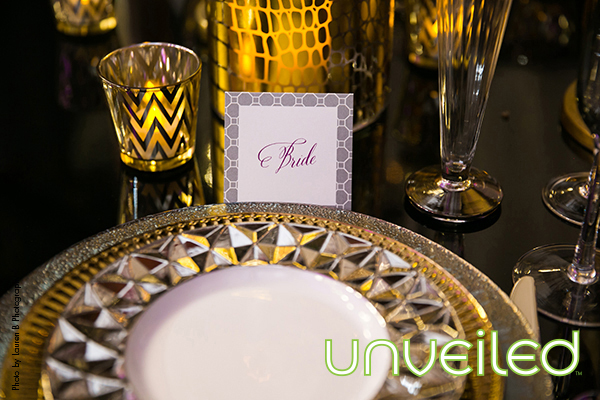 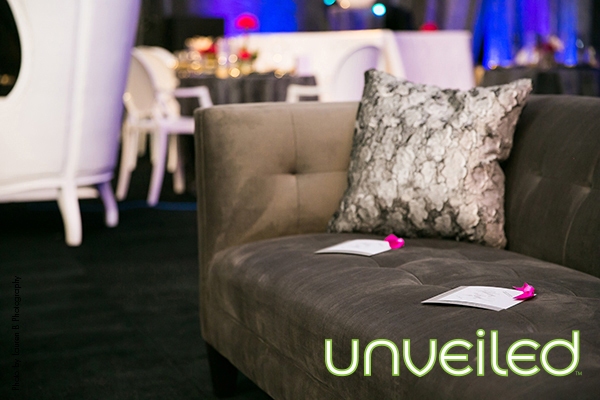 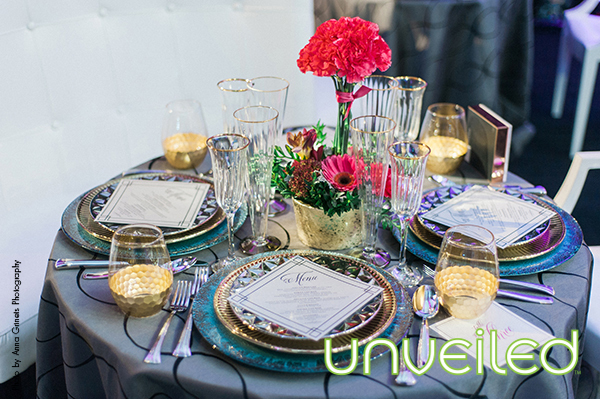 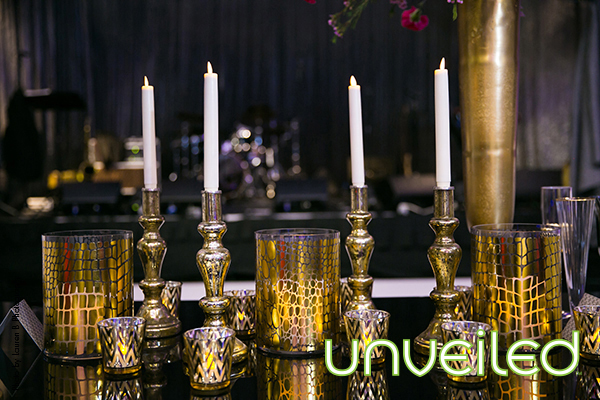 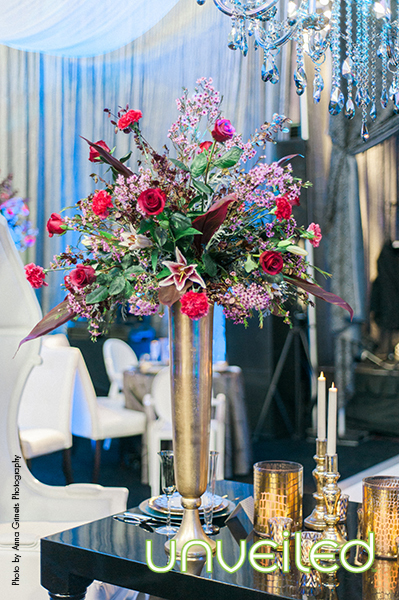 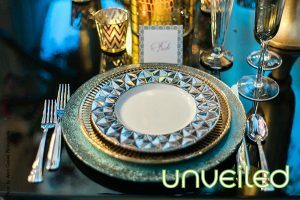 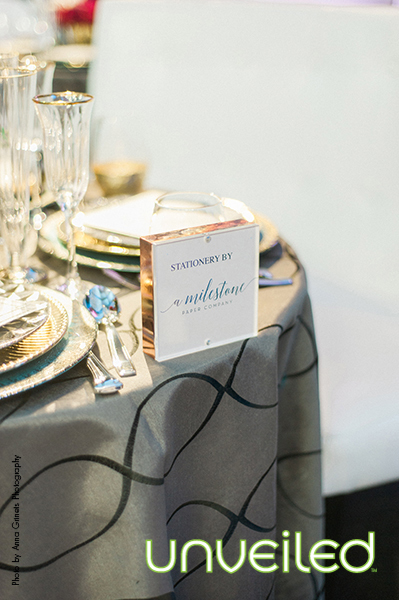 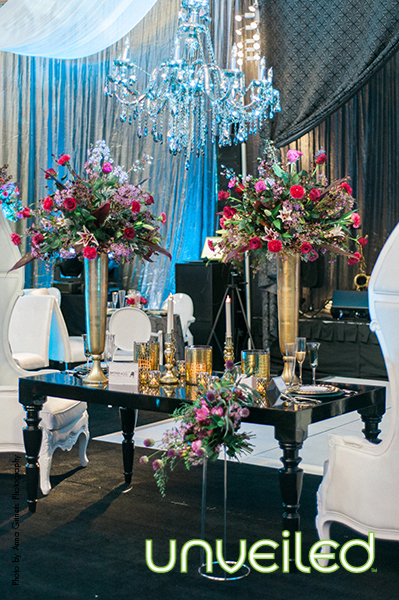 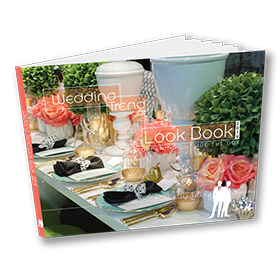 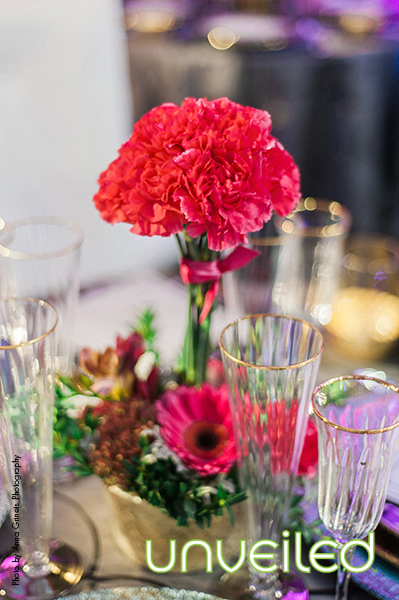 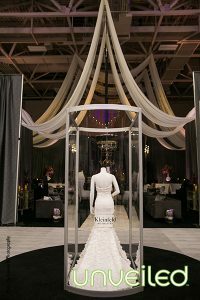 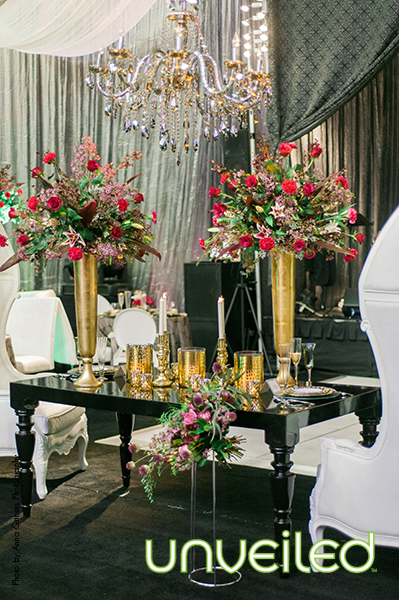 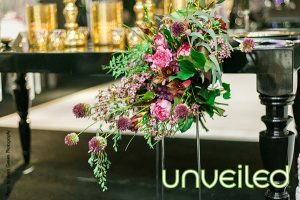 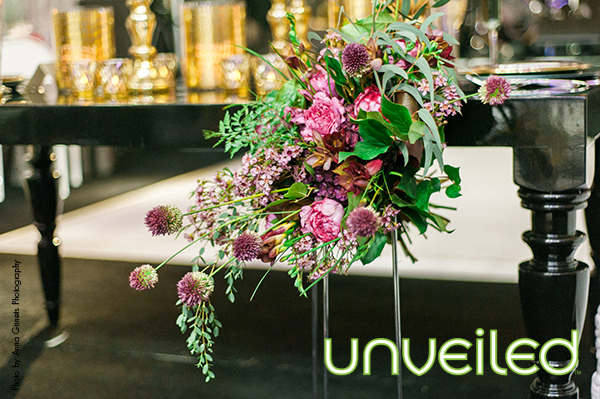 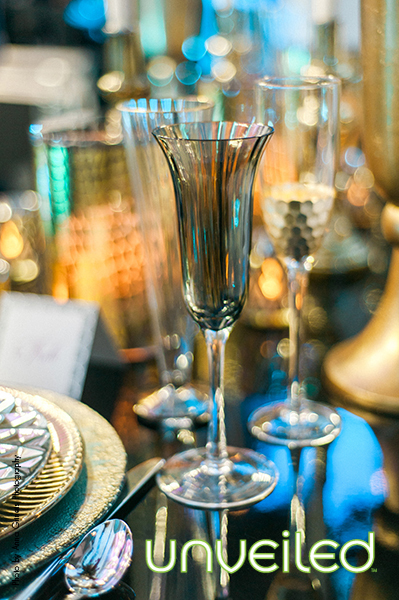 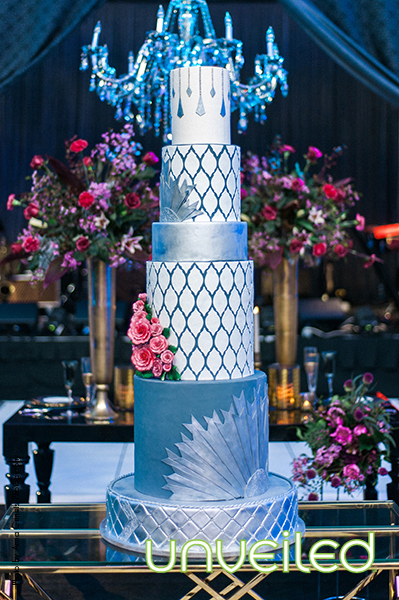 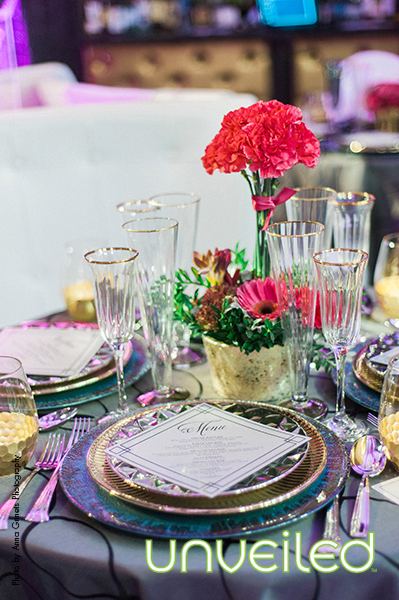 The 2016 Unveiled Trend Wedding was Hollywood Regency, and it was glamorous to say the least. 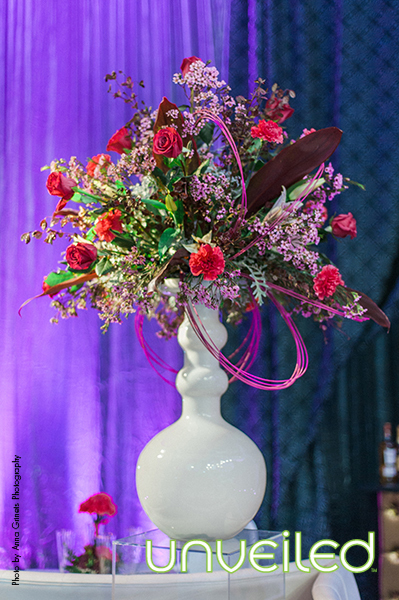 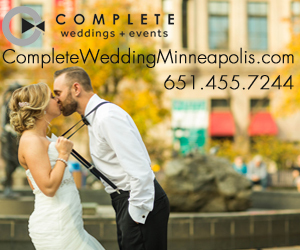 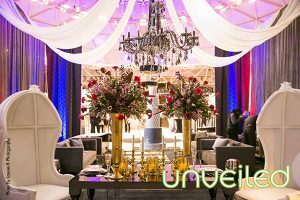 The Wedding Guy’s vision expressed a fresh new translation of classic style. 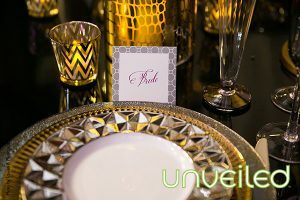 With contrasted tones, gold finishes and pops of yellow and raspberry, they created an intensity of design inspired by Hollywood Glamour. 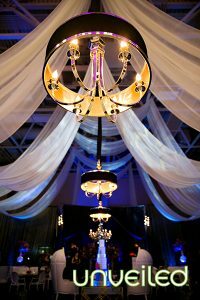 Guests were seated on white leather banquettes surrounding circular tables dressed with luxurious gray table linens. Gold and silver china by 222 fifth and gold daphnia glasses by Fitz & Floyd captured the Hollywood Regency of the entire room. The happy couple had a unique table set up that included a large black dining table with 2 Monaco Balloon chairs fit for wedding royalty at each end of the table. 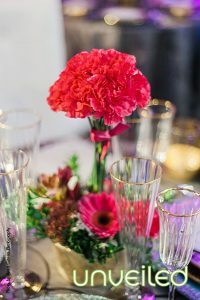 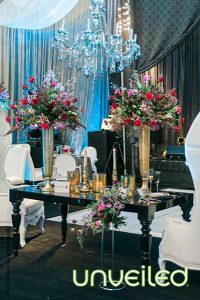 A glimmering graphite chandelier and raspberry floral arrangements completed the sweetheart dining table’s look. 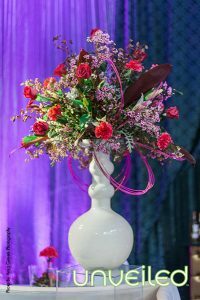 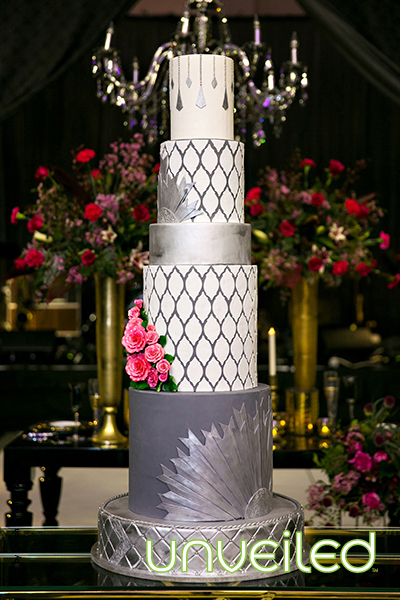 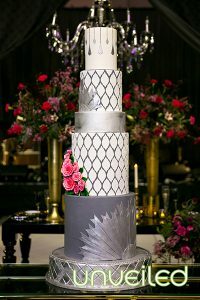 A 6-tier silver and white wedding cake featuring bright raspberry colored floral grabbed the attention of guests as the entered the room. 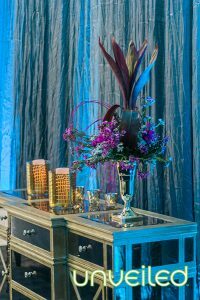 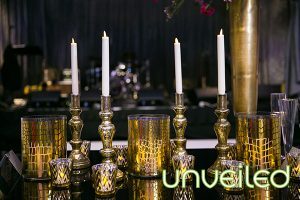 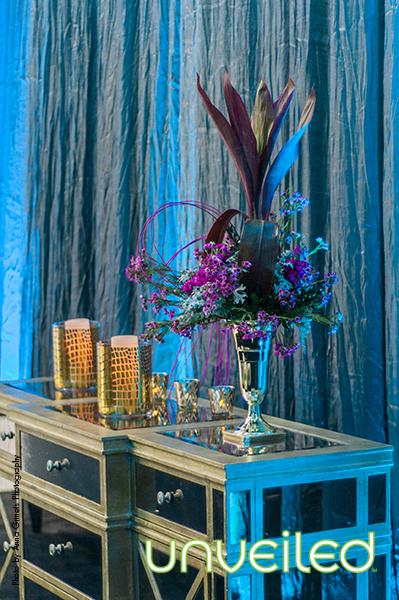 The eye-catching cake sat atop gold console statement tables that perfectly complemented the gold tufted bars in the room. 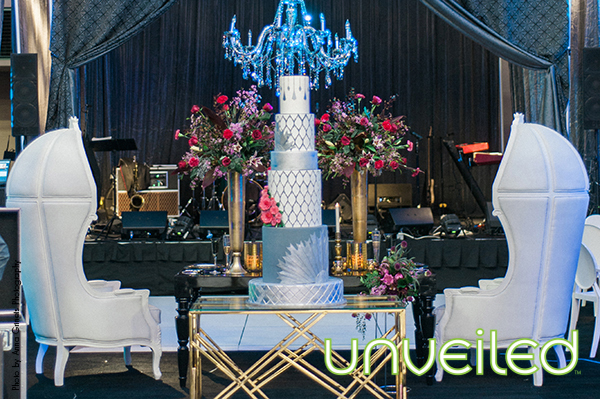 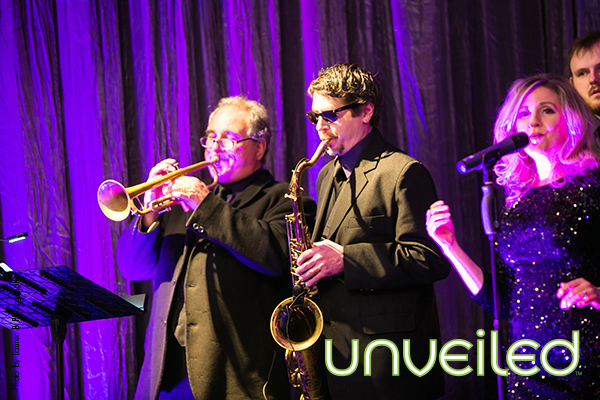 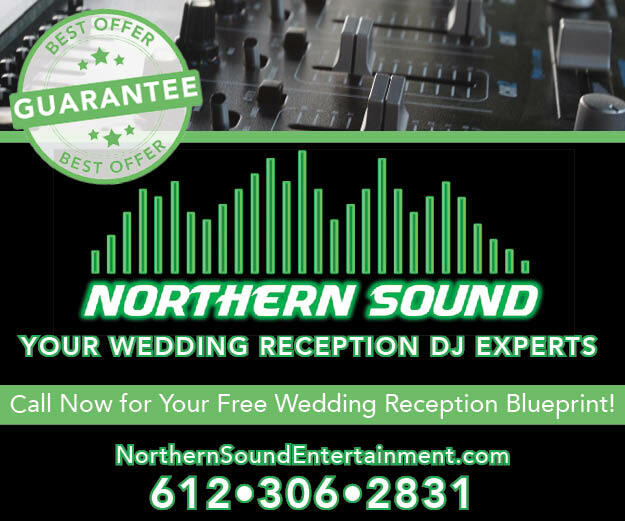 Guests were excitedly entertained with live entertainment from Belladiva and Instant Request lighting. 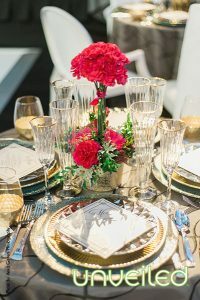 The luxurious Hollywood Regency inspiration was a memorable, fresh look that combined current trends with classic elements for the perfect romantic scene. 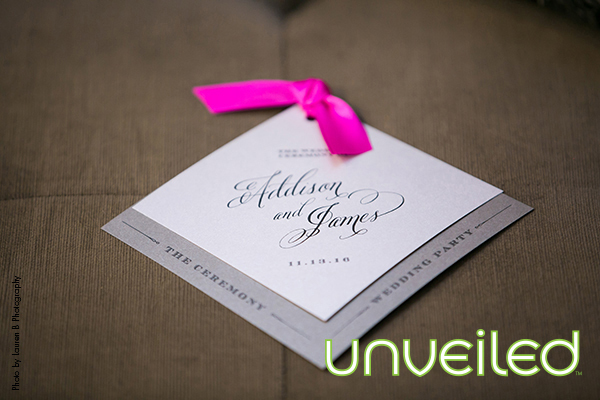 Invitations/stationery: A Milestone Paper Co.